Unlike Ruto’s unsuccessful attempt to visit former President Moi, Gov. Joho in close coordination with Gideon Moi met Moi at his home in Kabarak fueling speculation as to what Joho and Gideon Moi are up to. In pictures widely shared on social media, Joho was seen chatting with Moi and his son Gideon who is also the Baringo senator. It was not clear what they were discussing since it was a closed-door meeting. 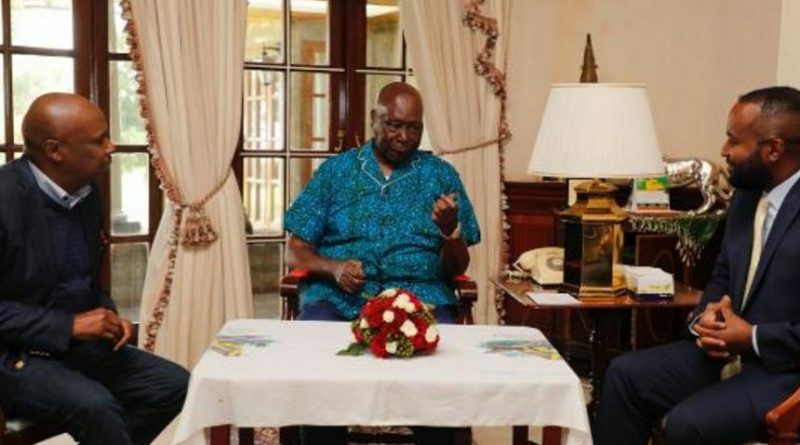 “In the spirit of Building bridges and fostering unity, I was honored to sit down with former President … I was fortunate to hear his wisdom on some national issues and thanked him for his time at the helm of this country,”Joho tweeted. ← GOR MAHIA ARE PREMIER LEAGUE CHAMPIONS!